I've owned my 2019 RST Z71 crew for about a month now. In as much time, I've started to get a firm feel for what I like and do not like about the truck. I thought I would share my thoughts here... but take them for what they're worth! A little background... I drive a whopping 8,000-10,000 miles per year, due to my job having me out of town a lot. 70% of my driving is city driving, and my daily commute is about a 14 mile round trip on suburban 45mph roads with stoplights. I upgraded to the 2019 RST from a 2007 LT2 Texas Edition Silverado Crew RWD, which I put about 110K miles on after buying it used in 2009. I researched a new truck for about 3-4 months. I looked heavily at the F-150, as well as certified and new 2017/2018 Silverados and Sierras. 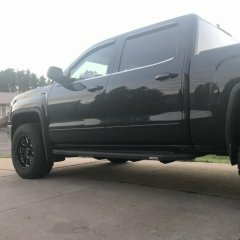 I've driven Chevys since 2001, but I really consider myself brand agnostic, looking for the best product on the market for my needs at the best price. My budget was pretty flexible, but I wanted something $45K or less. 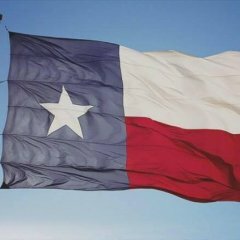 After visiting a good friend of mine, who owns a Chevy dealership in West TX, I realized I did not want a K2 Silverado. This reduced my decision to a 2019 Silverado or a 2018/2019 F-150. 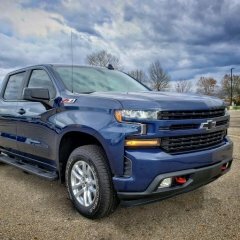 Ultimately, I felt the better value was in the 2019 Silverado, and I ended up liking the truck more than what I was finding in the F-150. I went with the RST, as I'm very over the chrome look. 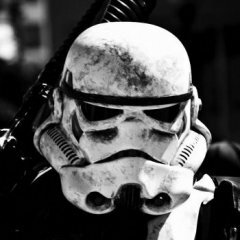 I think the monochrome appearance looks way more "modern", and I just generally liked it more. I didn't need a 2" lift and aggressive tires, so I passed on a Trail Boss. I do, however, LOVE the black front ends and wheels on them. My RST MRSP was $53,800. 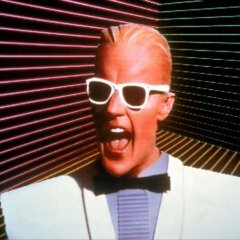 I got All Star + Convenience II, Z71 packages, etc. A similarly optioned 2019 F-150 was around $61K. Sheesh. I paid $43,660 for it + TTL, etc. The only other option I could have added was Safety I. Because there were only 3 Satin Steel RSTs with the options I wanted within 500 miles of me, I sacrificed Safety I... but I don't really miss it. I like having the corner blind spot mirrors vs. the blind spot indicators, etc. First, let me start with some of the things I do not like... Trim options missing. I realize that there are 3 trims higher than the RST (Trail Boss, LTZ and High Country), but I really wish GM gave some more interior features for the RST and TB. 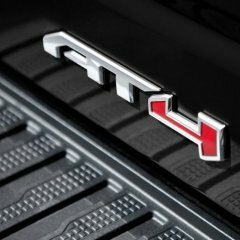 For those not wanting to have all the chrome on the truck, we have to sacrifice features that were on the monochrome LTZ Z71 in 2018 - seat memory, ventilated seats, electronic rear child locks, particularly. Beyond this, I think for an MSRP of $54K, we should also get a digital dash center like the available tech package offers on the LTZ & HC. Why not just make that an option for another $$$? I would have bought it. No gas/brake pedal adjustment. To be honest, I never really found this feature all that great in GM rentals I've driven. However, the new Silverado pedals seem to be positioned a little too far forward. Combine this with the fact that the telescoping steering wheel does not, IMO, telescope towards the driver enough... and I just haven't felt like I have a comfortable driving position with the 10-way power seat. I'm 5'11", so not short or tall. I've finally adjusted and found a position that works, but my 2007 seemed to have a better, natural position for my arms, elbows, feet, etc. No power passenger seat. For $54K, c'mon, GM. No built-in nav. I use Apple Car Play, but it costs me an extra $600 to have the nav installed on my RST? That's lame. It's 2019, GM. I really only want this for the speed limit indicator in the driver info center (DIC) in the dash, ha. Badge placement. Why did they put the Z71 badge on the upper front fender? Weird. Put it as a sticker on the top rear fender, like it has always been. No color-matched mirror covers. Mine are glossy black... which look okay with my Satin Steel Metallic paint job, but why not just color match them to the body? Lacking LED lights. I don't get why you put LEDs in every other place on the truck lighting besides the turn signals and the back up lights. That's just weird. Dashboard. This befuddles me. It looks cheaper and more basic (besides the DIC) than previous models. I realize most of us just look at the digital MPH on the DIC now, but it just looks cheap. Power down windows. Why only for the driver, and not the others? Bed / Cargo LED lights. Why no switch in the bed to turn these on? Mid-vehicle signal. With a truck this big, I don't get my GM did not put a turn signal indicator somewhere on the middle of the vehicle. I get nervous changing lanes on the 6-wide stretches of interstate going 75mph in DFW. This would have helped a lot. Plastic-y interior. Though I do like the feel of the interior overall, now that my truck has started to collect some dust / dirt in the interior, I'm noticing the cheap-looking plastic mold feel of some of the elements in the interior. I appreciate the wood finishes in places, but that hard plastic feel around the console, on the doors, etc. just does not feel like $54K to me. It does not really feel "cheap", but just not as plush as I would have hoped for. I still think it feels better than the F-150 interiors I've been in, with all the knobs, buttons and different plastic components the Fords tend to have. Fuel capacity. I don't get why GM did not create a bigger fuel tank on this new model. 24 gallons, seriously? My 2007 had 26 gal, and even my wife's minivan has 21! Fail. Interior color options. Two options, seriously? Antenna. Again... $54K truck and we still have a 3 foot whip antenna? It was the first thing I got rid of, less than 10 min after I got home from the dealer. So ugly. Things I like... Design. I know this is polarizing, but I think it looks amazing. In 1-2 years, after Ford refreshes, I guarantee this truck will look like the forerunner in style, and not the oddity. The body lines, the grill, everything looks fantastic, IMO. I like the Silverado much better than the Sierra, too. The grill space on the GMC is just too massive and hollow-looking to me. LED lights. The DRLs, LED tail lights, and the LED headlights are fantastic. Interior updates. GM finally made a rear seat with good legroom, and comfortable seating position. Adding the rear air vents is honestly what sold me on getting a 2019 vs. a 2018. About time. I love the spaciousness of the cab, and though many people feel the center stack and overall interior feels "cheap", I feel otherwise. I think the buttons are all well placed, and I love that GM is still doing manual HVAC knobs. No center console shifter. At first, when I was looking at the F-150s, I thought this was an upgrade vs. a column shifter. Then I sat in one. I like GM's way better. The new one feels fantastic, too. I like that I have the entire lower console available, and that I do not have to reach over the shifter in order to get my coffee. Centering of steering wheel. GM finally got this right. All those years of the steering position being off-set slightly. They finally corrected that. It's much more comfortable to drive now. Steering wheel controls. I'm glad GM went back to hard plastic buttons for these, vs. the soft push-buttons on the K2 models. The covers on those buttons always seemed worn out quickly on my friends' K2 trucks. I like the more durable, actionable feel of the plastic. Infotainment Screen. I know a lot of people wish it were larger. I am not disappointed with the size. The screen is very crisp, and super responsive. Bluetooth engagement is very fast with my phone, and I like the display options on it. Better wheels again. I'm so glad GM went back to real aluminum wheels, and not the chrome-clad stuff on the previous generation trucks. My 20" 2007 aluminum wheels looked great, and I think these new aluminum wheels are the best ones GM has made in a long time. Rear tailgate. I love the electronic button and remote unlock /drop from the key fab. The lightness of the tailgate is also amazing. The bigger step footwells in the bumper are a great improvement, too. Cargo bed. Wow, this thing is legit. I cannot believe how big it is. I'm glad it's steel still, too. The increased tie-down options is a huge plus. Rear seat storage. I LOVE the storage compartments in the seat backs. Fantastic use of space. Powertrain. I never wanted the TT 3.5L Ecoboost. I think it sounds terrible at the exhaust, and I don't want to tow 12,000# with a half ton up an 8% grade. I love the growl of my 5.3L V8, especially when I hammer on the gas. The new 8 Speed transmission took some getting used to (coming from my 4spd+OD 2007), but I've found that if you really drive the thing, it responds terrifically. Very smooth, and the acceleration from 30-50mph is impressive. Like... put you back into your seat fast. It is a lot of fun. MPG. I've been averaging nearly 18mpg with my very in-town driving. This is WAY better than the 13/14 I was getting with my AFM 2007. The only time I've really done HWY driving was when I brought the truck home 200 miles from the dealer. I did 75mph avg (going 80mph the first hour), and got nearly 22mpg. Wow. Capless fuel. Love this. Ride quality. Wow, this truck is unbelievably quiet. It's still a truck, so it doesn't ride like a cloud, but it's very smooth on the HWY. The handling is very crisp, and I always feel like the truck is poised when moving around at high speeds. Never loose or rolling too much on body center. Mirrors. I know some are puzzled by the placement of the mirrors on the door itself, but I find the FOV excellent with these. They are big, but not too big. And I really love the blind spot mirror in the corner of the driver's side mirror. Just not sure why they didn't put one on the passenger mirror, too. Badging. Besides the aforementioned confusion about why GM put the Z71 badge on the front upper fenders, I really like how clean and empty the truck is of obnoxious brand badging. I really love the throwback "CHEVROLET" stamped into the rear tailgate, too. Keyless Start/Stop/Entry. LOVE this. Leaving the fob in my pocket and pushing the really great buttons on the handle to unlock is excellent. GM did a great job with this. So far, the fob has worked flawlessly for me. Option button placement. I really like the row of option buttons below the center stack. It's easy to reach them when resting my arm on the console, and very easy to see. Cleanly designed, too. I also like the new trailer brake placement, as well as the placement of the 4X4 selector/lights, etc. buttons on the left. Dual exhaust tips. I personally think these look really good integrated into the bumper. Because they are, I don't have to worry about a lower rear clearance, backing into something that would rip the exhaust off. Plus, the engine tune coming out of these babies is awesome. It's fun to turn on the rear camera sitting at a stop light on a cold morning and watch the exhaust roll out of the dual tips. Bose sound. I know the sound gurus out there have issues with Bose, but this is a huge improvement over the standard GM stereo system. Bed outlet. Actually, the whole charging package on this truck is fantastic. USB and USB-C in the front console, center stack, and rear seat is excellent. Then having a full plug in the front console and rear bed is really nice. Value. GM owners know our trucks hold their value really well. At just under $44K, I know this truck is going to hold its value for a long time, especially since it's a T1 model. A similarly optioned 2019 F-150 was around $61K. That's just crazy. Even though I have a beef with GM for not putting certain features in the truck at this trim / option level, I think the value is very good compared to Ford. Rear headrests. I love these. Finally comfortable, and easy to move down and out of the way. The center drink holder / arm rest is also very nice. Rocker panel paint. I like how GM did this, with the "roughed-up" paint job so it is more durable to chips, etc. There are probably other things that will come to my mind. If so, I will add them to this. Here's a pic of my truck attached. Hope this review is helpful to any prospective buyers! I'm no truck reviewing pro, nor am I a gearhead. But I've always loved owning trucks, and this new Silverado makes me feel proud when I drive down the road. I get a lot of head turns, and it's fun to own such a capable, enjoyable vehicle! Fox 2.5 Non resi with Cognito balljoint UCA's installed last night along with 2.0 Fox rears. Installed some emblem overlays on my AT4. I bought them on Etsy from DeVriesSigns. Haven't done much other than that. Had the Xpel Ultimate Plus protective film put on and the bed sprayed. So I decided to peek inside the the top of the jumper seat today and I snapped some pictures for you guys. Here is my piece of the puzzle. It looks like the lower portion of the arm rest has the cavity for the inner bin. The Custom is missing a lot of things that might be hard to live without, depending upon what you’re driving now. It’s got the work truck interior that’s somewhat lacking storage, halogen headlights, etc. That said, it’s a proven platform, the 4.3 6 speed trans has been kicking around for awhile. It’s simple and should be more reliable and cheaper to maintain long term for that reason. Any fuel economy advantage on the 2.7 would be washed out by the higher cost of entry. I’d say if it’s strictly for business the Custom makes more sense. But personally that interior is just too “rental car” for me. Cue the “keyboard engineers” saying they know better than GM about what oil to run. Sorry, as of 2014 and up, the oiling system on these has gotten a lot more complex so I just run what they tell me. Plus, modern oils are so damned good these days it’s just not worth a worry. I know, it's getting old, but something just doesn't feel right. I know I'm not going to get the 9.5psi that you're getting because the 6.2L always has a lower boost number than a 5.3L since it has more cylinder displacement to fill, but it just seems like I shouldn't have to have as small as a 78mm pulley to get the 6psi. The whole problem, and why this is still going on, is that I haven't gotten to compare apples with apples. I haven't heard from anyone with my same setup. I want to compare like for like before I get a dyno tune. And yes, I saw your new tune numbers. VERY NICE! I'm actually going to be in NH end of July / beginning of Aug if you want to take me for a spin =) I'll be in the Durham area. Just showing one mod I did (Might change the color to black). I was having issues in the Florida sun reflecting right into my eyes on the chrome cupholder trim. Took off that trim and then cerakoted the cupholder burnt bronze. I Was going to do the other chrome pieces but decided against it. The obvious solution for some folks...rather than complain in literally every other thread about missing power pedals...just buy a new 2018 while you still can. You save the 15k and get all your missing content...and save the rest of us the trouble of reading the same list of “missing” features for the hundredth time. I just made 460whp/475wtq with a tvs1900 supercharger and the stock exhaust manifolds and Y pipe with cats. I did gut out the 3rd cat though. I'm happy enough with the numbers for now that I probably won't do long tube headers until next year at the earliest. 10:00 AM tomorrow and he comes home. I can’t stand it! 20% I also did the front windshield strip and the black GMC emblems. 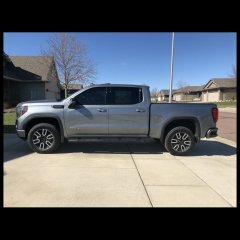 I stated pretty clearly in my post that I was willing to spend more on options if they were available, but they were not, unless I "upgraded" to an LTZ or HC. (e.g. ventilated seats & seat memory were the two options I missed the most with the RST platform/trim). So, yes, in some ways I do wish GM would have made more of the premium options available at lower trims. However, I'm mainly contesting that the TB and RST are not actually "lower trims". For $54-$58K, those are definitely in the mig-high to high level of trims, IMO. I'm not complaining that I cannot have it all. I'm very happy with my truck, and I purchased it accepting the trade-offs I was making. I'm raising the very valid point that GM continues to pad profits into the Silverado line as heavily as they can, putting the minimally accepted technology and features into a truck for the maximum price possible. ...technology that is very standard on many new vehicles that are much cheaper to buy than a 1/2T truck. It's 2019. I deleted the last two pieces of chrome. 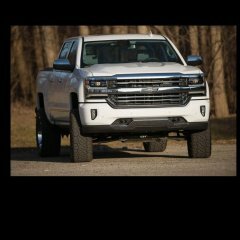 Help what’s available 2019 Silverado 6” in lift kit 2 wheel drive? 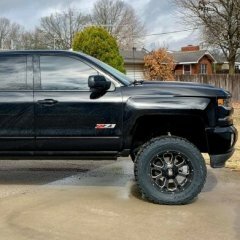 2 1/2” leveling kit on 22x12 American Force Blades running 305/45R22 tires. NorCal mod done and have zero rubbing even full lock in reverse. Thanks for posting your review on the RST. 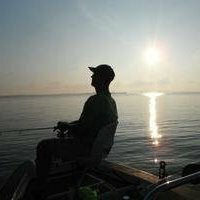 I have been looking at pictures and reading posts on this site for years, but your review actually encouraged me to make an account and contribute a post. I have been looking for awhile now at the RST and while I love so many things on the RST (e.g. monochrome, wheels, dual exhaust, grille, body lines, etc) I also share some of the same feelings about the negatives on the truck. 1. While the interior is functional and still nice, I too would prefer a digital cluster that doesnt seem so dated. I had a '15 LTZ and that had the Z71 logo on the cluster which looked better. The RAM has their logo in the dash and REBEL with a red trim on that truck. The RAM has so many minor details in the interior which give it a more refined look. I definitely dont need the 12" screen and who knows how well those trucks are built, but it seems GM mailed it in on the new interior. With that said, I am waiting to see what the 2020 Suburban and Tahoe interior will look like. That may give at least some indication of where GM stands on interior improvements. They need to do something, bc the new Expedition interior looks nice, while the Navigator interior is unreal. Seems like a lacking interior has become standard across the board with Chevy, GMC, and even Cadillac. My fear is that they make a drastic improvement to the interior for 2020, as well as work as some of the minor kinks , such as the rear window leak 2. The lack of interior colors also befuddles me. Both Ford and Ram have GM beat there. I really like how the Ram and even some Fords have that elegant red stitching on the seats. Coming from a '15 LTZ, I think the layout is better, but I'm not sure the interior is all that upgraded, which is a disappointment especially considering I will be paying around the same amount for less options on an RST. The real question moving forward is whether GM will respond to all the criticism about the interior. Despite some backlash, I think they nailed the exterior. The RST looks sporty with the dual exhaust and painted grille, and I'll take the appearance of any GMC or Chevy over RAM and Ford. I think the 1st quarter numbers (with RAM outselling Chevy) should be digested with caution as RAM launched their trucks earlier and offer monster incentives. Did you have any reservations about purchasing a truck in the first model year? The only thing I am undecided about is the bed size. Seems like the short bed is best in class in terms of size, but for just $300 more or so, I would love to have the extra 10 inches for hauling lumber and materials. Great looking truck you have there!! UPS just delivered it this evening! Hoping to get some time tomorrow to get it installed, it has to be better than the valved up stock system. Removed the decal from my tonneau cover and I found some LED's that fit the spot perfectly. These are submersible and only 1/4" high. 10 of them for 12 bucks on Amazon and they arrived in 12 hours! Like you, I researched everything. I went from a 2016 Ford F-150 to 2019 Silverado RST with Z71 (later found out the 5.3 V8 doesn't have 4x4 Low unless I had the Z71, whew!). I only wanted the best deal I could possibly get. 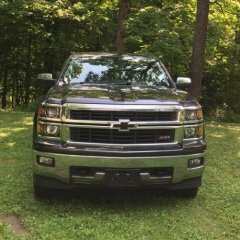 Chevy was offering $10k off the newly designed 2019 models so that was a no-brainer for me and bought my first Chevy. MSRP'd at $54k, bought for $44k. I have All Star, Convenience II, Z71, our RSTs could be brothers. First thing I noticed was the Silverado has better mirrors. The concave mirrors in my F-150 were so worthless, especially on the left side. The right side was not that great either, but Silverado's concave mirror is much better on the right. If you went a trim higher on the F-150, it was $10k or $15k more. The highest was $70,000. With Chevrolet, a trim level up or down was only few thousand bucks' difference. Strangely, as for Ford, the higher trims all had center console shifter. I did not want that because the extra space was always nice. My F-150 was an XLT with center console but with a column shifter and I loved the space! So the Lariat and Platinum both were out. The Silverado's dashboard feels a lot better than my F-150's dashboard which was all hard plastic. As for the cargo LED lights, like Ford, I could not turn it on from the bed but there's a 110V plug in the bed. I haven't camped in it and I am not sure if the plug would work but it'd be nice if I could have a tablet and watch movies in the back of my truck. However, I felt the F-150 had better positioned knobs and switches, pretty intuitive for me. I'm still struggling with the Silverado and I have to get my eyes off the road to look for it. Your 2007 had 26 gallons but I'm sure the gas mileage was much worse. The 24 gallon in the 2019 still gives a much better range with a more efficient engine. My 2016 F-150 had the large 36-gallon tank and it went well with my 5.0 V-8 that had 16 mpg. My 5.3 V-8 in the Silverado has been giving me impressive gas mileage, usually 24 on highways. Overall, I'm getting 19 in both. LED lights are definitely nice! I can see a lot more while driving on the winding Highway 74 to Lake Elsinore. And I agree about the air vents in the back, my Ford had that and I didn't buy the 2018 because of that. The cargo bed is amazing, I don't know how Chevy did it because the 5.5' in my Ford was too small so I had to go for the 6.5'. With the Chevrolet, the 5.8' is 63 cubic feet, better than Ford's 6.5' at 62 cubic feet. I looked it up and I believe it, my Silverado's short 5.8' bed is spacious as the F-150's standard 6.5' bed. Storage compartments in the rear seats, yes! I love that too, that's where I put in my cigars! I think all cars now have capless fuel. My 2012 F-150 had that and I could never go back. Keyless entry, just be sure you keep the keys away from the truck otherwise it will drain the battery! I agree the Bose sound is way better than any of the trucks out there! And USB-C plugs is the way to go, it's 2019 and I see more people using it. I had to change all of my cables to USB-C to USB-C and I'm glad I did that. Agree about Chevrolet trucks holding value very well. My 2012 F-150 was $39k, bought for $29k, traded in for $24k after four years of driving. My 2016 F-150 didn't hold as well, was $49k, bought for $39k, and traded in for $31k after three years of driving. I expect Chevrolet to fare slightly better. My 2008 Benz, MSRP at $40k, no discount, and traded in for a lousy $13k after four years. Never again! New member. 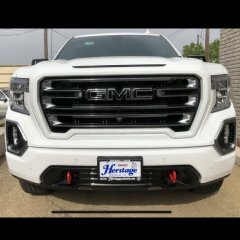 Great info and awesome trucks on this site! Here's my 2018 Silverado LT.
Price? My question exactly. The Denali and AT4 trim levels already exceed 62K - 70K already. Is this bed going to fetch another 2,500k - 4K ? It will be a waste for those who do not really haul anything and keep their truck a garage queen. I believe the OEM "integrated trailer brake controller" cannot be added if it wasn't equipped. You will need to plug in an aftermarket one.